The problem with making necron ships slow is it goes against the TT and the lore. Sure the majority of their ground troops are usually slower than other races, but their ships are the fastest in the setting rivaled only by Eldar, and are most of the time even faster than they are! The inertia-less drive could potentially have them move across the entire table in one turn and turn at the same time. Of course I don't want them to be able to just fly across the map as soon as the game starts, but they should not be known as one of the "slower" factions. A necron ship should be better than any other ship of its class in almost every way except troop number. Better armor, better health, better firepower, and definitely better speed. They feel way too slow in this game and should be the first or second fastest fleet. Eldar feel a lot faster the the necrons do, especially with their low cool-down boost. I know this is different than the TT, but it should still be used as a guide as to how the game should feel. Sources: These two links are slightly fan-made revisions that add more ships and change some points but the ship stats besides points are pretty much the same as the official rule book. At their current point, unless you spam LCs and escorts you are going to have very few ships. Necron ships should be something to be feared if they are going to be such vastly outnumbered, and only good discipline and tactics should beat them. They are in a very sorry state indeed. I will start this by saying balance is far more important right now than customization. If the game has good balance with no cheese strats (tyranid assault craft spam, ork mega-roks, and necron star-pulse BS just to name a few) then customization is the secondary focus. Remember how in the old game you could get favours for each ship? Since you can level up your faction fleet anyway there is a new system of favours that could work very well. Say you like playing as the Nurgle DeathGuard; as it stands your ships start out all warped and covered in tenactles. 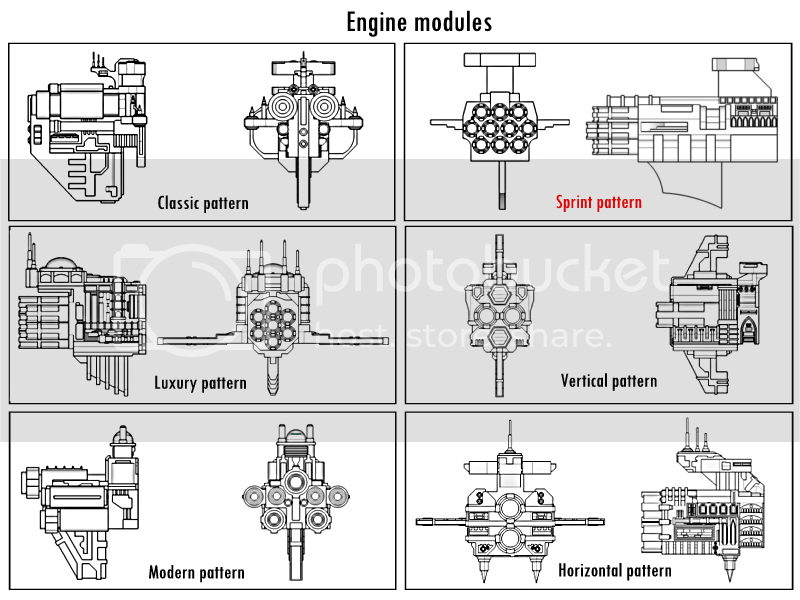 A alternative way to do this would be that your ships start off looking like "normal" or slightly warped Chaos ships. As you play and level up with your fleet more and more ships in your fleet slowly change until they are fully covered in muck and tenactles. Same thing with Khorne where more skulls, brass, and daemonic icons are put on the ship. Another major customization increase would be putting preset words and decals on your ships. If you have ever played Warthunder it would be a somewhat similar to that. In game a Retribution class has the two headed Aquila on top, maybe you can replace that with a statue of the Emperor, or a primarch, or whatever. This is just the start. I mean there is all sorts of options we can go with each race and subfaction. What do you guys think? Shoutout to valiran9 for making this post in another thread that seems to be what i'm trying to say. 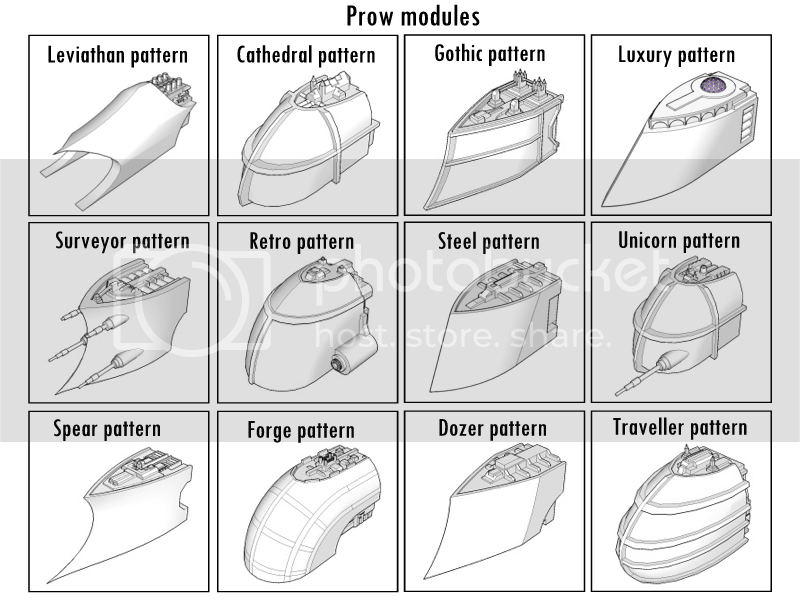 Now obviously, for some modules like the midship variants, Luxury-pattern components, Surveyor-pattern prow, and Sprint-pattern engine, there would be definite mechanical differences. 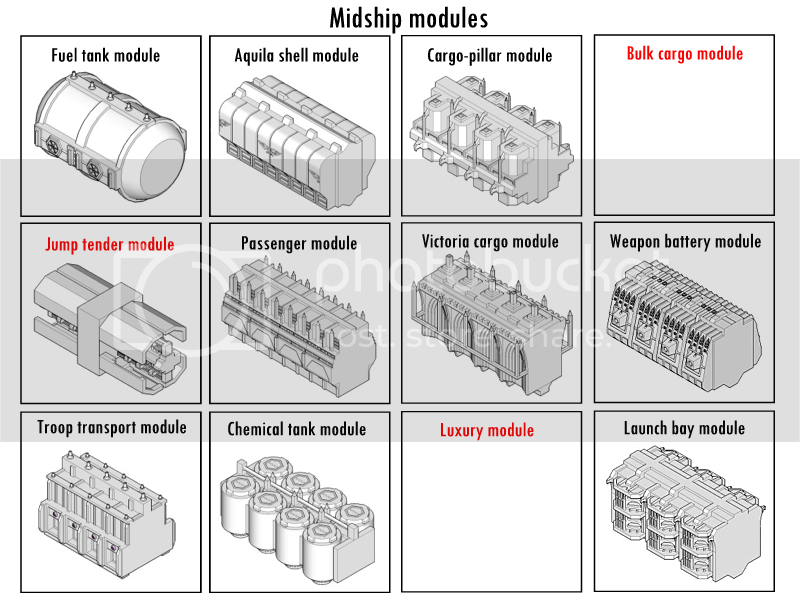 Nevertheless, I think the rest of the components easily illustrate how a ship could be differentiated from the rest of the group with a little bodywork.